Simply said, no other trading instrument comes even closely to forex market when it comes to liquidity, 24hr market environment and last but not the least, profit potential. Forex (currency) market is the largest (most liquid) financial market in the world, with an average daily volume of more than US$ 1.5 trillion, which is more than all of the global equity markets combined. Forex trading day starts in Wellington, New Zealand followed by Sydney, Australia, Hong Kong and Singapore. Three hours later trading day begins in Dubai (UAE) and other Middle Eastern countries. In couple of hours they are followed by Frankfurt, Zurich, Paris, Rome... London is the last one to open in Europe and five hours later it is followed by New York, Chicago and finally the West Coast. The busiest hours are early European mornings because at that time major Asian exchanges are still open and European afternoons because at that time major US markets are open at the same time as Europe. Therefore, wherever you live and whatever your work hours are you can always find some time to participate in forex trading as opposed to stock market where you are usually limited to the regular business hours. 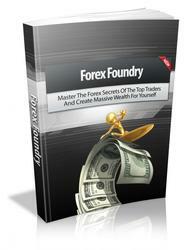 Another property of forex market that makes it an excellent trading instrument is use of leverage. Many beginning traders don't fully understand the concept of leverage. Basically, if you have a start up capital of $5,000 and if you trade on a 1:50 margin you can effectively control a capital of $250,000. However, a two percent move against you and your capital is completely wiped out. If you are a beginning trader you should not use more than 1:20 margin until you get comfortable and profitable and then and only then you can attempt to use higher margins. What does 1:20 margin mean? It means that with your $5,000 you will control a capital of $100,000. Let's say you are trading EUR/USD and by using our entry strategy you have decided to enter the trade on a long side. That means that you are betting that USD will depreciate against Euro. Let's say current EUR/USD rate is 1.305. Again, if your trading capital is $5,000 and you are using 1:20 leverage you will effectively be exchanging $100,000 to Euros. If the current rate is 1.305 you will receive 100,000/1.305 = 76,628 Euros. If the trade goes in your direction the margin will work in your favour and 1% decline in USD will mean 20% increase in your start up capital. So if EUR/USD rate moves from 1.305 to 1.318 you will be able to exchange your 76,628 Euros back to $101,000 for a profit of $1,000. Since your start up capital was $5,000 it is effectively a 20% increase in your account. However, if the trade went against you and USD appreciated 1% vs. Euro your account would be reduced to $4,000. That would not have happened as our strategy has built in hard stops to prevent such outcome. 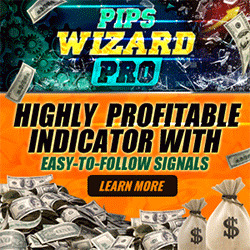 And the third and equally important property of forex market is the fact that trends in forex market last longer and are more clearly defined than in any other trading instrument.